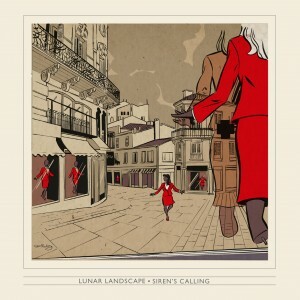 The music of Bordeaux-based atmospheric rock band Lunar Landscape is as expansive as it is intimate. Whether drawing grand melodic shapes during extensive instrumental passages, or beckoning the listener close with hushed vocal incantations, their debut album The Infinite Pleasure of Being maps out epic emotive terrain that rewards deep exploration. 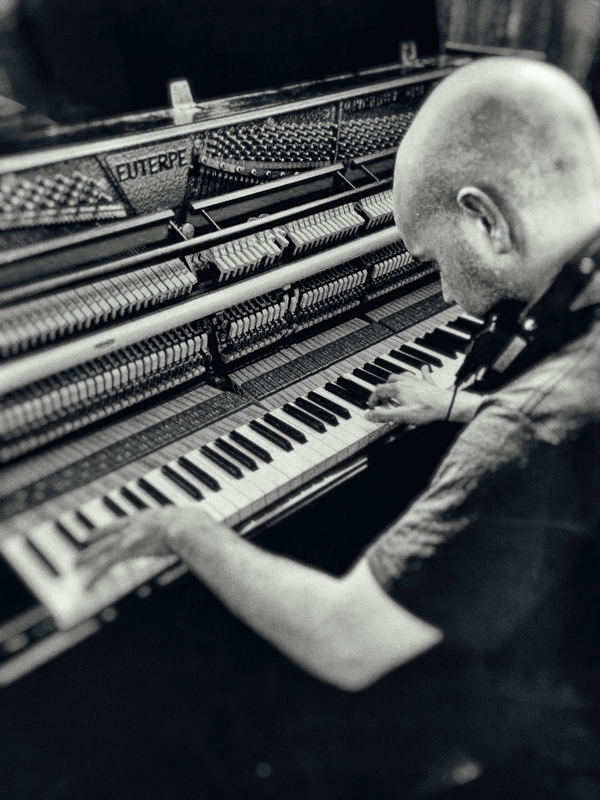 The Infinite Pleasure of Being effortlessly traverses piano-led neo-classical works and epic shoegaze numbers. Whether drawing grand melodic shapes during extensive instrumental passages, or beckoning the listener close with hushed vocal incantations, these songs map out epic emotive terrain that rewards deep exploration. Right from the opening guitar chimes and stratospheric organ tones of ‘Chaque Seconde de ta Vie’ through to the Holst-inspired ‘Virtual Grey-Eyed Child’, The Infinite Pleasure of Being dictates its own sense of scale. Whether employing charmingly child-like tones in the Flaming Lips-esque ‘Something I Feel’, or laying down satisfyingly gritty rhythms on ‘Les Nuis Célestes’, Lunar Landscape effortlessly adapt their instrumental palette to suit their songcraft. Back in 2007, Hidden Shoal released Beautiful Lunar Landscape’s stunning debut EP Alone in this Dark Romantic Night, which received widespread critical acclaim. 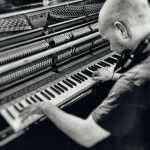 The band’s principal songwriter, Arnaud Sigonney (piano, keyboards, guitar, vocals), then took a break from music, before returning with instrumental rock band Les Limbes, who released their self-titled EP on Hidden Shoal in 2015. 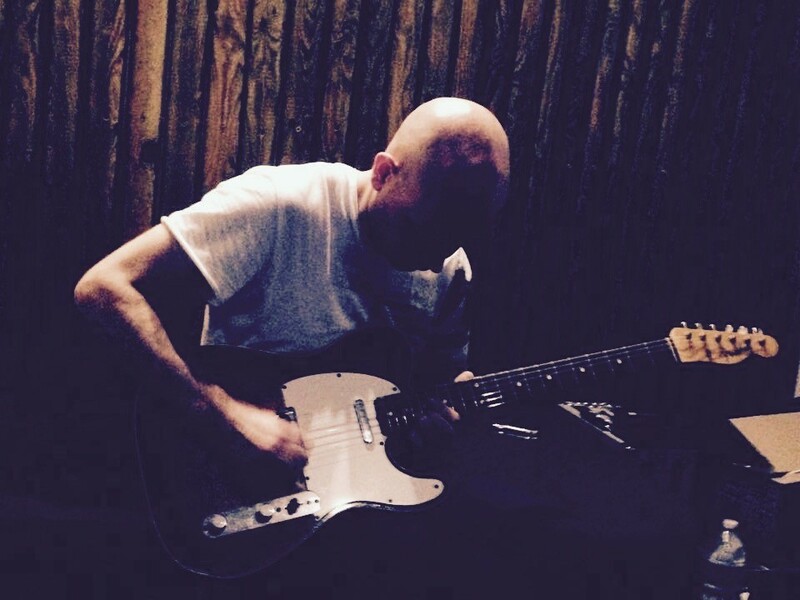 The songs that comprise the debut album by new project Lunar Landscape have been written throughout Arnaud’s musical life. The Infinite Pleasure of Being was recorded by Marco Gomes at Studio Carat with a new band in 2016, featuring Les Limbes’ Yoann Roy (bass), Franck Lantignac (drums), Line Senium (piano) and Marine Hebard (vocals). The stunning new Lunar Landscape single ‘Les nuits célestes’ has just been premiered at the wonderful New Noise magazine. 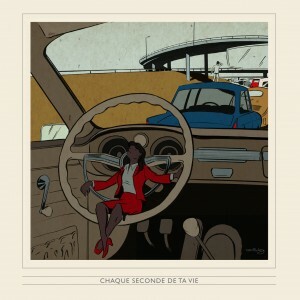 The track coincides with the release of the band’s debut album The Infinite Pleasure of Being. 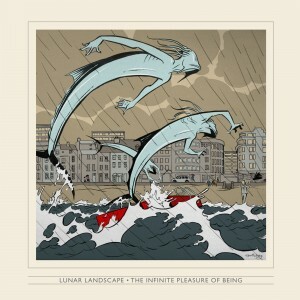 Hidden Shoal is excited to announce the release of The Infinite Pleasure of Being, the wonderful debut album by Bordeaux-based atmospheric rock band Lunar Landscape. To coincide with the release, the stunning third single from the album, ‘Les nuits célestes’, is now available to stream via SoundCloud. 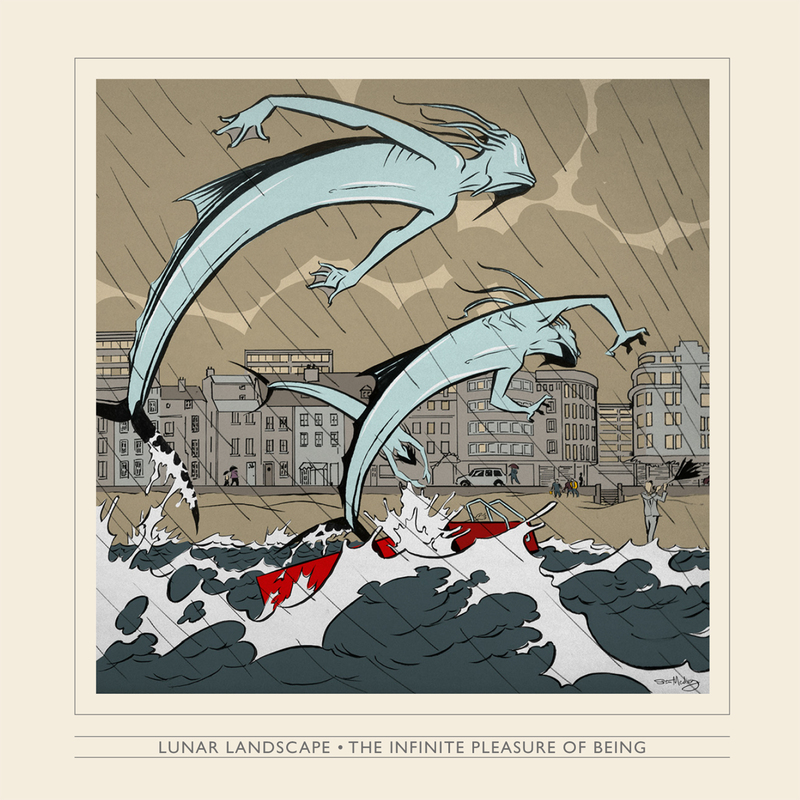 The Infinite Pleasure of Being is available now via the Lunar Landscape Bandcamp and from all good 3rd party online stores and streaming services. 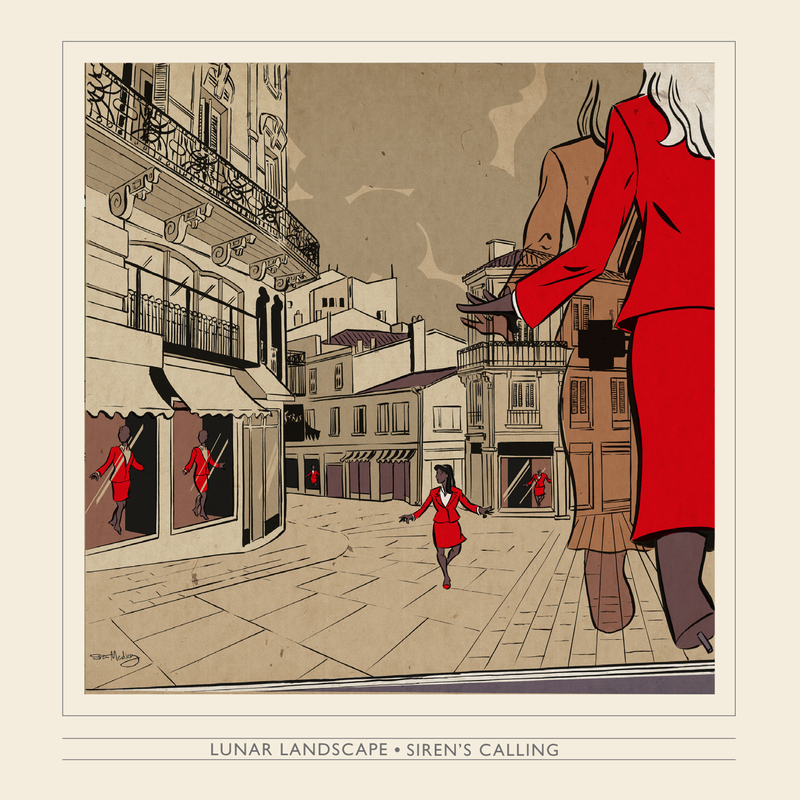 Lunar Landscape’s music is also available for licensing through Hidden Shoal across film, tv, games, web and beyond. Hit us up for more info. 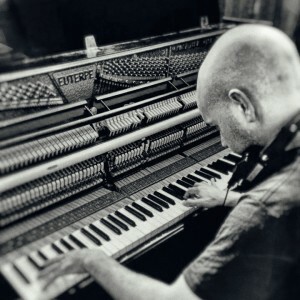 “Arnaud Sigonney is a Bordeaux, France-based multi-instrumentalist and singer/songwriter (piano, keys, guitar, vocals), who first came to international attention when Hidden Shoal Recordings released Beautiful Lunar Landscape’s critically acclaimed 2007 debut EP Alone in This Dark Romantic Night. 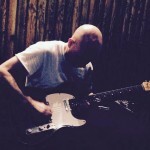 Sigonney took a break from music and returned in 2015 fronting the instrumental rock act Les Limbes; but interestingly enough, the material that comprises The Infinite Pleasure of Being, the debut album from his latest project Lunar Landscape were written throughout most of his musical life — and was recorded by Mario Gomes at Studio Carat with a backing band featuring Les Limbes’ Yoann Roy (bass), Franck Lantignac (drums), Line Senium (piano) and Marine Hebard (vocals). “Shoegaze post-rock can be either exceptional or really bad. Let’s be honest, there are some bands who try to create cosmic instrumental tunes that essentially are three or four chords repeated over five minutes. Fortunately for us, French five-piece Lunar Landscape are not one of these pretenders. Then again, some of the band’s members, such as primary mastermind Arnaud Sigonney, have been plying their trade for over a decade in other groups. As such, they’re not necessarily starting from scratch, and their expertise is displayed on “Les nuits célestes”. Taken from their debut album, The Infinite Pleasure of Being, which is out now on Hidden Shoal and available on Bandcamp, the track sounds exactly as it name suggests. It is a dazzling piece of atmospheric, shoegaze post-rock that feels like one is drifting effortlessly through the skies. As if we have wings and are soaring high in the air, watching the world slowly move beneath us. “Les nuits célestes” is also a rarity within the genre. Not only do you wish to close your eyes and inhale its beauty, you’ll want to strum on your air guitar and pretend you’re the one illuminating the air with crystalline shimmers. Simply outstanding. Lunar Landscape’s music is available for licensing (master & sync cleared) through Hidden Shoal. Please contact us with some basic details about your project and the track(s) you wish to use and we’ll be sure to get back to you straight away.